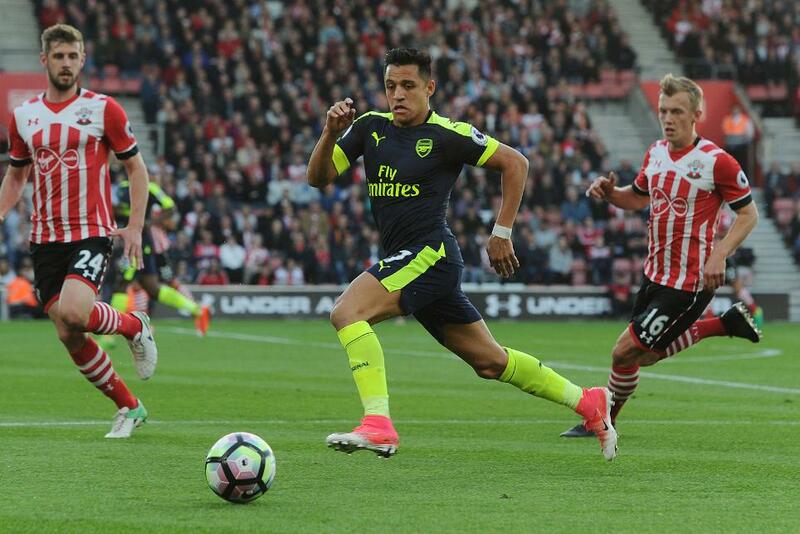 Alexis Sanchez (£11.6m) claimed three Fantasy Premier League bonus points as Arsenal won 2-0 at Southampton. The Chilean scored the opening goal and also completed eight dribbles, more than any other player in the Gameweek, to score 35 in the Bonus Points System (BPS). Arsenal team-mate Shkodran Mustafi (£5.8m) was awarded two bonus points on his return to the line-up. Forming part of Arsene Wenger's three-man defence, the German recorded a score of 33 in the BPS. He made 11 clearances, blocks and interceptions (CBI) and won three tackles. Four Arsenal players were tied on 27 in the BPS, with all receiving a single additional point. Olivier Giroud (£8.0m) scored Arsenal's second goal from an 11-minute appearance from the bench. Kieran Gibbs (£4.7m) contributed six CBIs and 13 recoveries from his role at left wing-back, while Rob Holding (£4.0m) produced five CBIs and completed 84% of 51 passes. Finally, goalkeeper Petr Cech (£5.3m) made three saves and nine recoveries to earn back-to-back clean sheets and bonus points over his two Gameweek 36 fixtures. Mesut Ozil (£9.5m) topped the ICT Index (11.3), thanks in the main to a Creativity score of 80. The playmaker supplied two successful crosses and provided six scoring chances in Wednesday's contest, including the assist for Sanchez's opener. Sanchez was Arsenal's most dangerous attacker on the night, scoring 43 for Threat to rank second in the Index overall with 9.2. He enjoyed more touches in the opposition box than any player (six) and fired two close-range shots on target. Handed the armband by 492,000+ (11.2%) FPL managers, Sanchez was the only player in the top 10 most popular captain picks to return a double-digit score – his first since Gameweek 25. He will now be heavily backed once again ahead of two promising Gameweek 37 fixtures at Stoke City and at home to relegated Sunderland. In defence, Holding has started successive matches, keeping Gabriel (£4.8m) on the bench. Holding has earned bonus points in both Gameweek 36 outings and FPL managers are already reacting to the value on offer, 20,000+ drafting him in ahead of Friday's 6.45pm BST deadline. But Wenger's backline could be shuffled over the Gameweek 37 fixtures, with Laurent Koscielny (£6.1m) possibly in line for a return from injury. Alex Oxlade-Chamberlain (£5.8m) is an early concern, however. He suffered a hamstring problem in Wednesday's encounter and that could give Hector Bellerin (£6.5m) a recall at wing-back. For Southampton, striker Manolo Gabbiadini's (£6.6m) failure to convert any of his four shots extended a run without a goal to six appearances. Signed by 246,000+ FPL managers over the last two Gameweeks, the Italian seems likely to be retained by his owners with Saints also enjoying two fixtures over Gameweek 37. Claude Puel's side travel to relegated Middlesbrough before hosting Manchester United at St Mary's Stadium.